Planning for Egypt? Anyone planning for Egypt must go through our earlier article that focused on the 9 days and 8 nights tour to Egypt. This time the article is going to connect you with the destinations that make Egypt one of the most popular destinations on the planet to pack for. 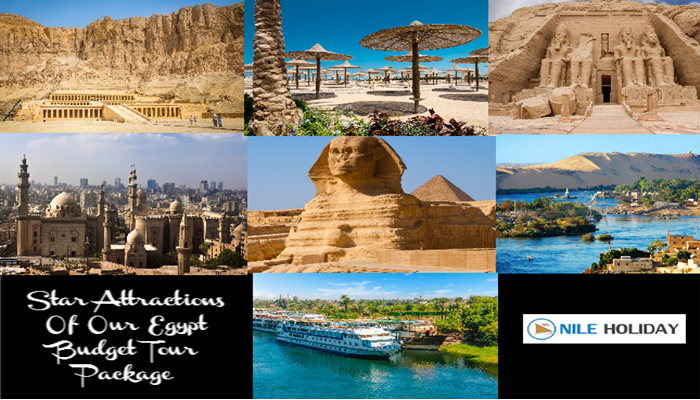 Mostly Egypt Tours are made for its historical richness. The centuries back monuments the old culture and inventions: the deserts and the Nile are a few of the draw cards from the thousands that draw the international attention. It is not possible to depict the whole beauty of this land of Pharaohs in a single article or blog. Yet we are trying to bring you some of the iconic places that one should not miss during his visit to this land. Pyramids at Giza are said to be the central attraction for everyone Travel Egypt. These are the outcome of the superstitions of the ancient Egyptians on the next birth. The ancient rulers were on the conception that they would be the Gods in their next birth, so they erected the massive Pyramid tombs for themselves and filled it with all those things they thought to be required to rule in the next birth. The constructions are believed to be some 4,500 years back, yet they have been the mysteries for the people world over. The trend of Pyramid construction was started from Pharaoh Khufu in 2550 B.C. The monuments have outstanding crowed pulling capability till date. The opening and the closing time – 08.00 hours to 17.00 hours. Cost of entrance tickets to the main site around 60 Egyptian Pounds (EGP). Tickets available at morning (08:00) and afternoon (13:00) sessions. Make sure that the interiors of either Khafre or Menkaure pyramid will be opened. The interiors of Khafre or Menkaure are a bit smaller than the Great Pyramid, Consider them. Cameras are not allowed inside but a 10 EGP tips to guard can solve your problem. Book with an English speaking tour guide beforehand who can narrate the history. In winter and during the auspicious festival of Ramadan, gates to the pyramids close at 16:30 and 15:00 respectively. To go inside the Great Pyramid, there is an extra cost of 100 EGP. Camel rides are common around the pyramids. Nobody skips the Egyptian museum during his Egypt Vacation. This is considered as the second biggest drawcard of Egyptian Tourism after the Giza pyramids. The museum displays some of the most famous antique things of Egypt that refer to the long past and dynasties that rule over this land. Located in the Tahrir Square in Cairo the Egyptian Museum of Antiquities a two-storied building displays antiquities that date back to centuries. When the ground floor displays the heavier things like coffins, huge statues, and stone carvings the upper floor hosts the lighter displays that include gadgets and tools, funerary objects, smaller statues, papyrus papers, wooden coffins and so on a visit to this museum would provide you the ample of knowledge about the Egyptian History, culture and the way of life of the ancient Egyptians. Opening hours: 09:00- 17:00 Fri 09:00- 11:00 & 1:30- 17:00. There are always child discounts even for big kids. Photography is not allowed inside the museum. Don’t carry camera but the cell phone. The original collection was established in the late 19th century under Auguste Mariette and housed in Boulaq. The Egyptian Museum is located in central Cairo within walking distance of the Sadat metro station. A tour guide is must to get the maximum education and experience from this incredibly old and amazing museum. Don’t forget to check the mummies that need special tickets. Make sure to check out the animal and the royal mummies. Awesomely creepy! Bring water and guide book. These are dedicated to Imhotep the first real architect in the history of the world and the first man to use stone columns in the construction of many structures in ancient Egypt. Be careful if you to take a photo of a tout leading a camel or horse, they will ask for payment. This is the desert, so wears a hat, plenty of sunscreen and brings bottled water. Touts are also present at Saqqara but not in as large a number as at the Giza. Visiting the pyramids with a guide enhances the experience. Constructed at Saqqara about 4,700 years ago, the Step Pyramid was the first pyramid the Egyptians built. Tickets for adults 80LE & for students 40 LE, but you will probably have to pay also inside. Make sure to reach a high-vantage point so that you can also see the surrounding pyramids. The step pyramid is the only pyramid in the Old Kingdom that 11 of the king’s daughters were buried inside. The citadel and the Khan El-Khalili Bazaar would connect the visitors with the fascinating history and the colourful markets mostly renounced for the gold ornaments. This would also provide you an opportunity to see the priceless treasures in Egyptian museum. The mighty structures of the Citadel of Salah El Din and the Mohamed Ally Alabaster Mosque would leave everyone mesmerized. Daily open Start time 8:30am. Tell the taxi driver ‘Midan Hussein,’ not Khan El Khalili; unless you want a price increase. Sufi spiritual activity, the Tannoura show is famous here. The original bazaar built by El Khalili was demolished and then rebuilt in 1511. The market is famous for clothing, spices, traditional jewellery and perfumes. Keep smiling and remember the aim of the game is to obtain a good deal for yourself as well as the shopkeeper. Try to keep the price low without being arrogant or insulting. Don’t bargain if you’re not truly interested in buying an item. In tourist areas you may be offered tea or a soft drink in larger shops, which is customary, and doesn’t oblige you to buy anything. If you are not interested in purchasing anything simply keep walking. If you do show an interest, be prepared for it. Visit the west of Luxor where the New Kingdom pharaohs, built their crypts in the hills to be closer to the source of their dynastic roots is now known as the Valley of the Kings. This is the site where the bodies of the Pharaohs were mummified with a superstition that to preserve the bodies to be reanimated in the next birth. The underground tombs were well stocked with all the material goods a ruler might need in the next world. Almost all the kings (pharaohs) of the 18th, 19th, and 20th dynasties were buried here in this site. It has been serving as the final resting place for the rulers of ancient Egypt for more than 500 years. Luxor is no doubt a magnificent city but the valley of Kings is one of the biggest drawcards of Egyptian tourism. The Valley of the Kings entrance fee is LE120 and you can buy access to extra tombs on top of that. For LE300 you can buy the photo pass to take photos in the tombs. When you visit Valley of the Kings is you will take a rover train (its name in Egypt is Taftaf). About 8 to 15 thousand tourists make a trip to Valley of the Kings. Visiting tombs need to walk for long distance, ascending, and descending right angles stairs. You must wear loose clothes, sneaker; as you will walk in unpaved passages, in addition to it a hat, sunglasses, an umbrella to protect yourself from high temperature. The water and wipes are also required. You should have a flashlight to see the scenes and inscriptions inside the tombs, in addition, to wear a sneaker, because there are many descending stairs. You can visit 3 tombs out of 63 tombs with one ticket, but the tomb of King Tut requires a special ticket, the price of the ticket is about 40$. You can go to the Valley of the Kings by Taxi from the east bank of the Nile or by a car at the parking lot, which locates on the west bank or by buses of the hotels and travel agencies. Take a local guide with you which will help you to easily explore everything. During ancient Egypt the largest of Luxor’s temples, Karnak was one of the most sacred places in the whole of Egypt. Located on the east bank of the Nile River in Thebes (Luxor) it stands on more than 100 hectares. On your Egypt tour, you must notice that there are three main sacred areas in Karnak temple that honour three gods: Montu, an ancient local warrior god; Amun, the chief god of Thebes; and the goddess Mutt, wife of Amun. Karnak is known by many names such as “Throne of the Two Lands”, “The Finest of Seats” and so on. It is several thousand years old and yet the historians have not been able to study all of its inscriptions. The sites of the Karnak are one of the most visited sites in the entire world, right after the pyramids of Giza. Plenty of scattered temples in Karnak would leave you mesmerized. Hire a private guide to tour Karnak Temple. Take cash in Egyptian Pounds for your sightseeing days. Most ticket offices accept only cash. Karnak opens at 6am, and the earlier you can get here to beat the heat and the tour bus crowds. Karnak’s Sound & Light Show plays two shows nightly with the first show always in English and the second show in German, Italian, French, or Spanish depending on the day. Philae: dedicated to Isis, has been transported from its original location, Philae Island, to nearby Agilqiyya Island and been positioned exactly as it was earlier in Philae. The temple sits amidst the great scenic views. The temple is ringed with vegetation on a lonely island in the Nile. Just take a Felucca to reach the temple and enjoy its beauty. You would have the combined experience of cruising and the temple visiting. The best time to visit this popular tourist attraction is early morning, soon after the site has opened. Access to the temple complex is by rowboat, from the boat landing at Shellal. The “official” price for a return boat ride is EGP10 per person. This is the boatmen’s main form of income; an extra dollar or two probably means more to them than to you. Don’t forget your sunscreen: The sun here in Upper Egypt can be brutal – even in the early morning or nearing sunset. Philae has a regular sound & light show with presentations in English, French, German, and Spanish. Visiting the temple complex at night while it’s lit up adds a completely different dimension to your experience. Take a local guide to explore it in a better way. Abu Simbel is a complex of temples located at the second cataract of the Nile River in the southern Egypt is a fascinating temple to visit for everyone. 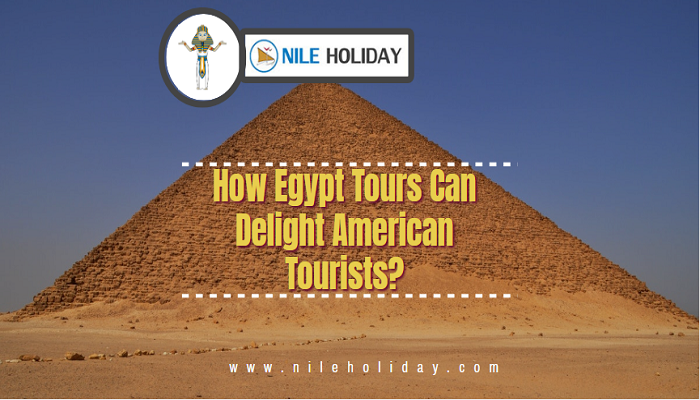 It is one of the most recognizable ancient sites in Egypt. It contains two temples, carved into a mountainside, that were built by pharaoh Ramesses II (1303-1213 B.C). Remember the temple of Abu Simbel that you are getting to see today is not the original one. It has been shifted to a new place for the construction of the High Dam at Aswan. But you would feel all the date back charms in it. The temples lie about 180 miles (290 km), or a three-hour drive, southwest of Aswan. The best way to visit is via an organized tour from the city. It is also possible to arrive via plane from either Cairo or Aswan (30 minutes). Transfer across the desert in the cool of the early morning. Cameras are not allowed due to development work. Open daily. Summer: 5 AM – 6 PM. Winter: 5 AM – 5 PM. Ticket Cost: 70 LE. A 50% discount on admission is available to students with a valid student ID from an Egyptian University or a valid ISIC card. There is a tourist bazaar and café near the entrance to the site. Explore Egypt That Is Both Majestic And Magnetic.